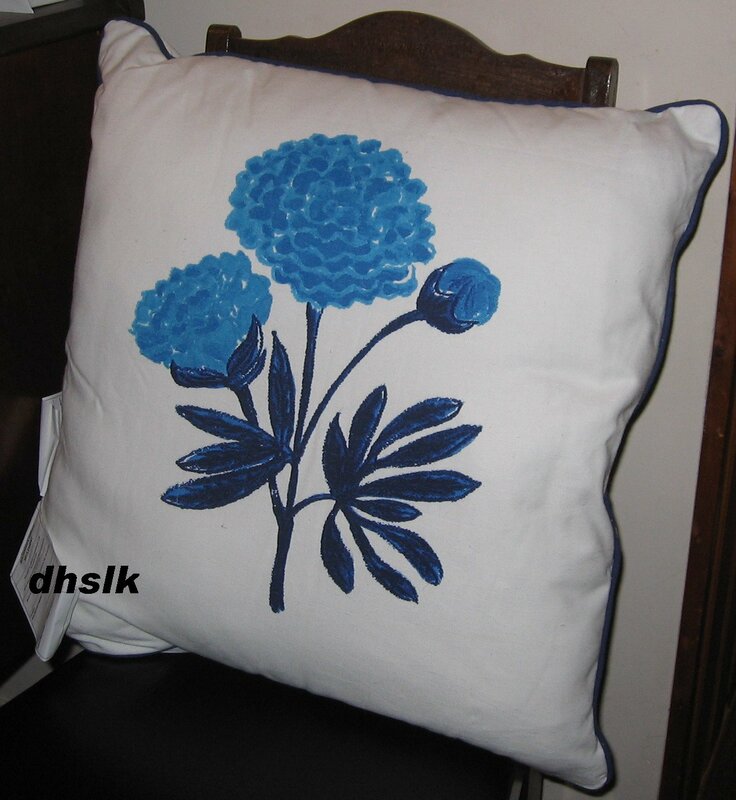 BRAND NEW GRONSKA FLORAL square accent cushion from IKEA of Sweden. An absolutely gorgeous, blue hydrangea pattern on a natural cotton background. Reverse side is blue and white striped. Romantic, dramatic, shabby chic. Coordinates with Barbro and Sommar ranges. LAST ONE. Measures 22" (56cm) square. Zippered, machine washable, 100% cotton cover. Inner pillow is 100% polyester fibrefill with 100% polypropylene interliner. Please visit my US$ store at rock-paper-scissors.ecrater.com . I am happy to combine postage costs for multiple purchases (e-mail me for an exact shipping quote). IKEA Vinter 2017 PILLOW SHAM Cushion Cover Blue White Abstract Landscape 20" x 20"